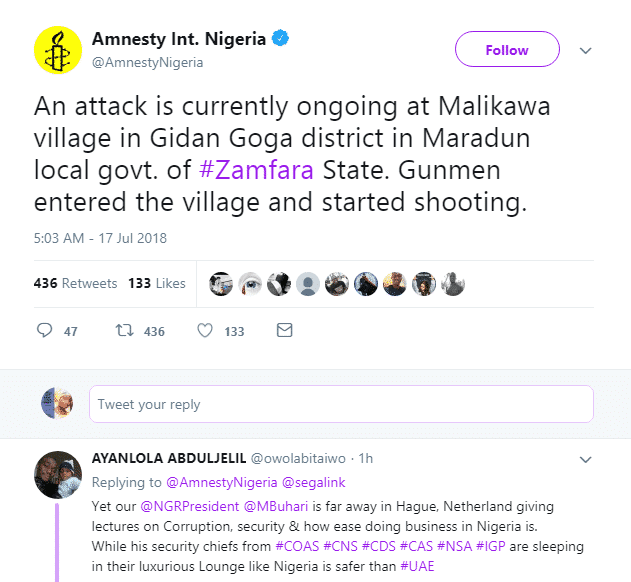 According to a series of tweets from Amnesty International, an attack is currently going on at Malikawa village in Gidan Goga district, Maradun local government, Zamfara state. 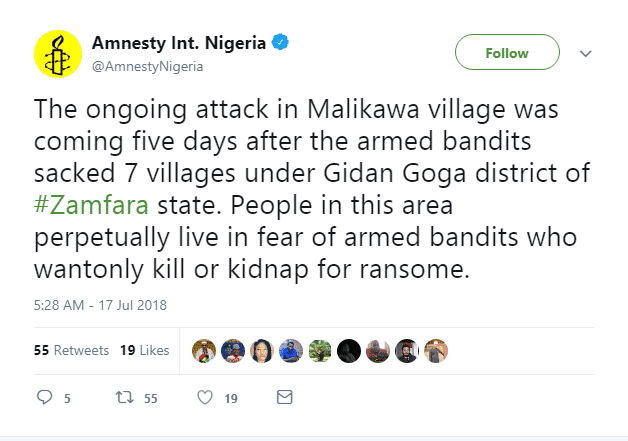 The attack is coming five days after the armed bandits sacked 7 villages under Gidan Goga district. ”An attack is currently ongoing at Malikawa village in Gidan Goga district in Maradun local govt. of #Zamfara State. 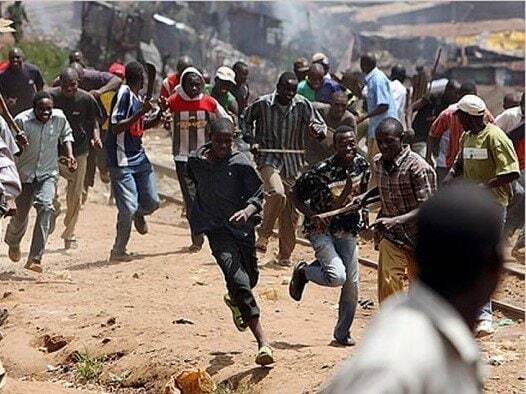 Gunmen entered the village and started shooting. 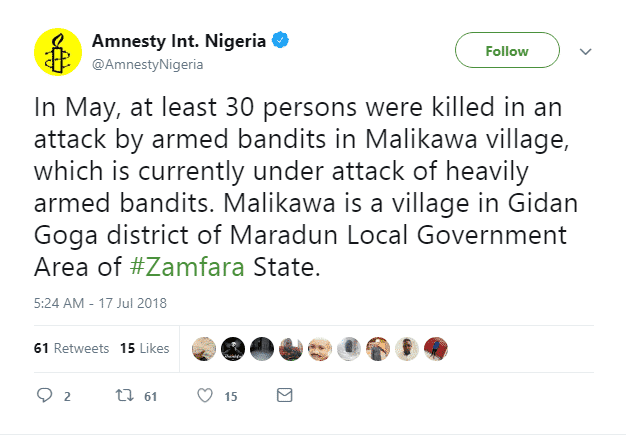 ”In May, at least 30 persons were killed in an attack by armed bandits in Malikawa village, which is currently under attack of heavily armed bandits. Malikawa is a village in Gidan Goga district of Maradun Local Government Area of #Zamfara State. 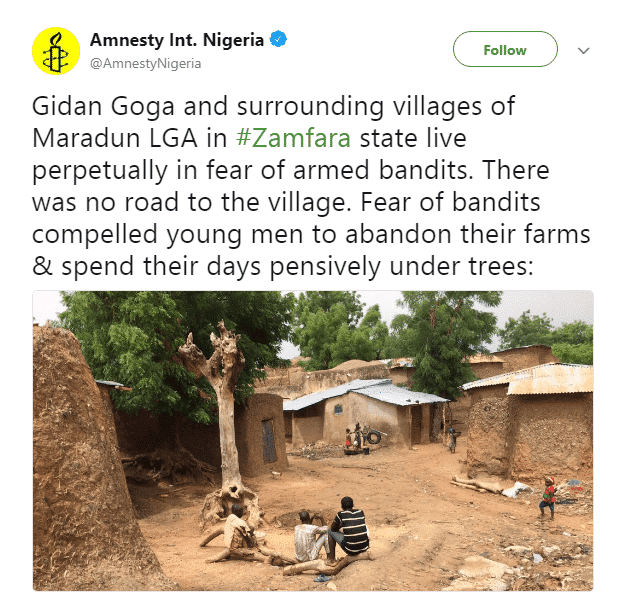 ”The ongoing attack in Malikawa village was coming five days after the armed bandits sacked 7 villages under Gidan Goga district of #Zamfara state. People in this area perpetually live in fear of armed bandits who wantonly kill or kidnap for ransome. The tweets from Amnesty International were also corroborated by a Peoples Democratic Party member, Deji Adeyanju.